THE AVERAGE RENT for properties across Ireland has hit a new record high, according to the latest Daft quarterly report. According to the Daft Rental Price Report, average rents for properties listed on its website rose nationwide by an average of 11.5% in the year to the end of March. The average monthly rent across the country at the end of March was €1,261. Prices are continuing to shoot up elsewhere in other cities also. The Daft quarterly report found that in April there were 3,086 properties available to rent across the country. Daft stated that this is the lowest number of properties available at this time of year since it started recording in 2006. In Dublin, there were 1,265 homes available to rent. “Rents have now been rising almost three times as long as they fell in the crash and the increases show no signs of moderating,” said economist and author of the report Ronan Lyons. “It is clear that, for those who have to look for a new home in the open market, rental inflation remains well above any reasonable measure of health,” he said. “But as ever, rents are only the symptom. The cause remains a chronic and worsening lack of rental supply. Email “Average rents in Dublin have hit a new record high of €1,875 a month”. 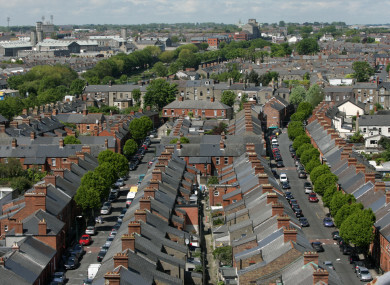 Feedback on “Average rents in Dublin have hit a new record high of €1,875 a month”.